Here is a pretty solid short story by Rich Feitelberg. Overall this is a superior story but although I was planning on giving this story a Rhein Rating of 6 as I read it, I wasn't particularly satisfied with the ending and I dropped it down to a 5. I just felt that there was a certain build up that was taking place during the story that wasn't completely resolved in the rather abrupt finish (the mystery of the baby has to be explained in a way that makes the reader go, "of course!"). There are also a couple little details here and there in the earlier parts. For example, I think a baby crying should be described rather than shown as dialogue ("Waaaa" tends to take the reader out of the moment). The pacing could be tightened up a little bit here and there as well. The area was circular with a brick floor and a mix of stone -- granite, feldspar, and shale mostly -- comprising the walls. A flight of stairs spiraled up ten feet in the center of the tower, ending with large boulders in the stairwell. Climbing through the hole in the wall, Brashani glanced at the darkness outside his sphere of light. He doubted anything was there but he prepared a fireball just in case. He gazed up again and carefully examined the debris in the staircase. Looks like the top of the tower collapsed. Strange that it didn't crush the bottom of the stairway. Gesturing with his left hand again, the ball of fire rose into the air towards the blockage. As the area of illumination approached the debris, Brashani noticed the light of the fire reflected back towards him. A glass barrier? No, that would have shattered from the weight of the stone. Something like glass only harder. Hmmm, he thought. Interesting discovery and pretty much what I would expect from Annelle Muran, the alchemist that had lived here. Too bad the invention died with her. The ball of fire returned to Brashani's hand. Since he didn't see any of Annelle's remains in this portion of the tower, Brashani would ask Varan to examine the rubble for them. Getting through that barrier, whatever it is, could be hard, but Annelle deserves a decent burial, even if it is twenty-six years late. “Waaaah,” cried something from the darkness to Brashani's left. Brashani turned and sent the ball of fire toward the sound. As it moved, the mage saw in the dim light an infant lying on its back, arms and legs flailing. By the Twelve Powers, where did this baby come from? Brashani went over to it. It cried again, its face red, tears streaming from its eyes. Waving a hand over the child, Brashani read the infant's aura. It was tainted pink and orange. Nothing unusual there. He picked up the child and cradled it in his right arm. Then he glanced about to see if there was anything else in this space that he had missed. He didn't see anything but he would have the others check in the morning. The baby cooed and stared at the mage. Better get back and show everyone what I've found. They aren't going to believe this. Brashani left Annelle's tower and walked up the road. The sun was setting in the west and turning the sky orange, but Brashani had enough light to see the cobblestone-paved road and the dead weeds that choked the spaces between the pavers. On either side of the street were more destroyed buildings like the tower he had just left. Brashani tried not to look at them but each one called to him silently, waiting for its turn to be cleared out and rebuilt. The road turned left. On the far side of the bend was the Purple Goblin Inn. Sitting on the wide porch was the innkeeper, Nicholas Stockpole. A small pipe was clenched in his yellow teeth and wisps of smoke rose from the pipe's bowl. Brashani climbed the wooden stairs up to the porch and headed for the door to the inn. The baby cried and Brashani soothed it a little. “Whatcha got there?” Nicholas asked, standing. Brashani opened the door to the inn. Nicholas caught it and waited for Brashani to step through the doorway. He followed and closed the door. Walking through the inn's lobby, Brashani caught aromas from the kitchen. He inhaled deeply but couldn't tell what was cooking. On the far side of the lobby, the door to the dining area was open. He went in; Nicholas followed. In the center of the room, half a dozen mismatched tables were pushed together and thirteen chairs of different sizes and shapes were arranged. The table was set and Cook was coming through the door to the kitchen with a roasted turkey as Brashani scanned the room to see who else was here. Off on one side of the room were the stable hands, Jack and Steve. Next to them, the supply store merchant, Stewart Genrich waited. The aviary, Terry Pelt, and Claudia Holec, the midwife, sat at the bar on the far side of the room. The barkeep, Roy Cudan, inclined his head to Brashani, as he entered the room. On the other side of the room were Brashani's fellow mages: Loren, the elf, Ezekiel, the winged man, Rabbi Issac ben Herschel, the rune mage, and Varan, the dwarven earth mage. Loren and Ezekiel stood together talking. Varan and Rabbi Issac watched Cook place the platter with the turkey on the table. The baby cried again and everyone in the room turned to look at Brashani. “Was that a baby crying?” asked Claudia. “You're assuming, the baby isn't a magical creature,” said Rabbi Isaac. “Did Annelle Muran have any children?” asked Loren. “Do you think this is a safe place to raise a child?” Brashani replied. “And we have no baby food or diapers,” observed Loren. “Then what do you suggest?” asked Claudia. “Are we going to talk or eat?” asked Cook. Brashani looked at Cook and saw he had carved the turkey. Several slices of meat were on Brashani's plate. He sat down and began eating. Claudia waited for everyone to begin eating before she asked Cook for some milk. “Oh. All right,” He got up and went into the kitchen. Claudia meanwhile left the dining room, taking the infant with her. She returned a few minutes later with a small glass bottle. “Where's the baby?” asked Loren. “In my room.” She disappeared into the kitchen. When she came out a few minutes later, the bottle was full of milk and Cook was right behind her. He sat down to eat his dinner. Claudia left the room again. Brashani watched the comings and goings. He waited a few minutes and when Claudia had not returned, he decided to steer the conversation in the direction he wanted. “Like mud drying on a cold day,” said the dwarf. “So the tower you are repairing isn't finished?” asked Brashani. “I'll go by in the mornin',” said Varan. “Thanks.” He stood and left the dining room table. Going upstairs, he found Claudia in her room. She was sitting in a rocking chair, cradling the baby in one arm and holding the bottle of milk in the other. The baby stared at Brashani as he entered the room. “He won't eat,” said Claudia. The baby yawned suddenly exposing a healthy set of small white teeth. “Then he's older than he looks,” noted Brashani. “Yeah, but it means I can try giving him turkey. Watch him for a minute. I'll go get some.” She stood, handed him the baby, and went downstairs. Brashani cradled the infant in his arms and looked at him; the baby stared back. The mage narrowed his eyes and thought about how the baby had known to yawn precisely at the right moment. Coincidence? Brashani didn't believe in that. Maybe Rabbi Isaac was right. Maybe the infant was a magical creature despite the aura reading. No, even unicorns and dragons register as magical from an aura reading. What did that leave? A baby that understood common speech. How was that possible? A curse perhaps. No, the aura would have shown a spell at work. Then what caused this child to be so aware? Brashani didn't know but it bore watching. Brashani went to his room after Claudia returned with food for the baby. He yawned; he was tired. Lying down in his bed, he went to sleep. Claudia woke him up hours later. Brashani wasn't sure of the exact time but from the way he felt he guessed it was near midnight. “This better be important,” he said squinting at the light from the torch she carried, and rubbing his face. “The baby's gone,” said Claudia. Brashani lay in his bed trying to find the strength to stand. Sleep beckoned. His eyes closed. Then he heard a scream. Instantly his eyes snapped open. He felt like he had walked into a door. With a gesture, torches in his room and out in the hallway ignited. He was up and running toward the stairs. At the bottom of the steps lay Claudia, her body twisted in directions it shouldn't be. Her right foot was snagged in a blanket that ran half way up the staircase. Brashani had seen this blanket before, Claudia had wrapped the baby in it last night. Loren, Rabbi Isaac, Nicholas, Jack, Steve, Roy, and Stewart came out of their rooms and into the hallway. “What was that noise?” asked Stewart. “Claudia,” said Brashani. He pointed down the stairs. Everyone looks. Blood was now pooling under her head. “How did this happen?” said Loren. “We won't know for sure,” said Brashani, “until you probe the past of the blanket and the staircase. But I can tell you this: Claudia had just left my room to look for the baby downstairs. I'm guessing she slipped on the blanket in the dark and tumbled to her death. “All right,” said Loren. “I'll prepare my Probing spells. Isaac, take charge of the body. Brashani, go wake Varan and Ezekiel. We'll need their help too. Brashani searched the stables and the supply store looking for the baby but found no sign of him. Returning to the bend in the road just beyond the inn, Brashani scratched his head and looked across the darkness that blanketed the town, wondering where the child could have gone. Having ruled out some of the more obvious possibilities, Brashani ran up the road that headed out of Marngol. 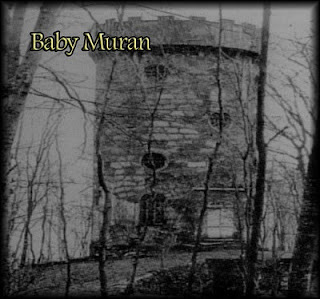 As he went by the Muran tower, he heard a noise. Slowing, Brashani listened again and heard the sound of rocks banging together. The fire mage stopped and peered into the hole along the tower wall's side. There, sitting on the brick floor, was the baby banging two small rocks together. “Well, I'll be a sorcerer's apprentice,” Brashani mumbled softly. How had the baby gotten back here? Hard to believe it crawled back all that way. Yet Brashani had no other explanation, at least not one that he would entertain or give credence to. The question was why? What was so important here that the child should crawl out of bed and into the darkness in the early hours of the morning? Was the child homesick? Brashani laughed at the idea and then stopped. If the child was aware of himself and his surroundings, the notion of being homesick wasn't so farfetched. A normal baby wouldn't know the difference between the tower and Claudia's bed. This baby, however, wasn't normal; he'd been found in the tower of an alchemist. He could easily have been enhanced in some way through alchemy. 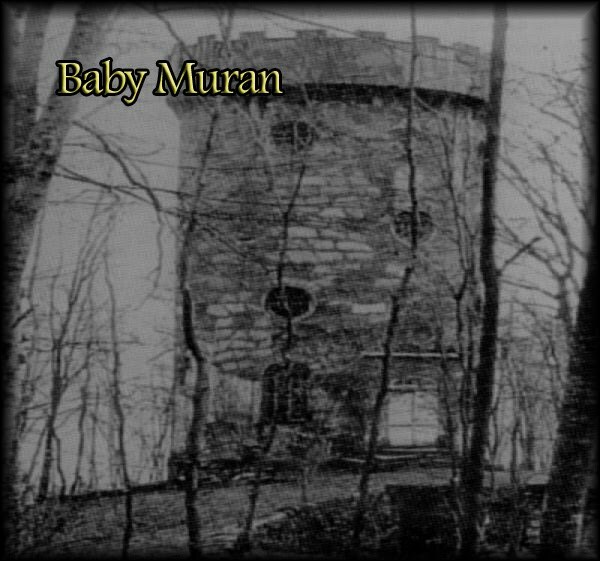 Climbing into the tower, Brashani scooped up the infant. The child gurgled and the mage shook his head. Maybe more tests are in order. The mage considered this weighing the risks against the loss in time and decided to reserve judgment. Let's see what Loren has to say. Brashani returned to the inn and found Loren waiting for him upstairs in Claudia's room. Turning, she saw Brashani enter with the baby. She smiled. Brashani set wards to keep the baby on the bed. By the time he had finished, the other mages who had gone out to search for the baby returned. Loren quickly recapped where Brashani had found the child and what she had learned through her Probing spells. “I don't believe in coincidence,” said Brashani, taking the baby from Loren. “Then you agree with Isaac?” asked Loren. The next morning they dug a grave for Claudia and buried her. Rabbi Isaac said a few words about the fragility of life and how we should all cherish each moment we have for it could end at anytime. After the brief graveside service, Brashani returned to the Muran tower with Varan. Together they examined the transparent barrier and the rubble that filled the stairwell beyond. “Well?” said Brashani after Varan had completed his inspection of the stairway. “If you are asking me, can we recover Annelle's body, the answer is no,” said Varan shaking his head. “Not that I can find. I've gazed through all the stone in the staircase and I see no body. At dinner that evening, Brashani looked at Claudia's empty chair and felt an emptiness there. He sighed and forced himself to ask the others around the table how had their day gone. Cook, Roy, and Nicholas reported they had taken turns watching the baby. “Any problems with him?” asked Brashani. “Fine. Began work on the third pier,” said Loren. “By all means,” said Brashani. “Will we give them the child?” asked Rabbi Isaac. “If we find nothing else strange about him, yes,” said Brashani. The next day, Varan worked alone patching and sealing up the Muran tower while Brashani helped Roy, Nicholas, and Cook tend to the baby. From what Brashani could tell the baby was in fact normal. He cried when he was hungry or needed changing. He cooed and gurgled when he was happy. Oddly though, the child never tried to get off the bed. Was that the child’s intelligence again or was he just happy getting lots of attention? That night Brashani was awoken to the sound of the baby crying. He stumbled into Claudia's room half asleep and pushed past Rabbi Isaac and Varan, who had heard the scream too. As he did so, Brashani saw Loren was sitting next to the child wrapping his hands and soothing it. “Do you know what you are suggesting?” asked Rabbi Isaac. “What are we going to do?” asked Rabbi Isaac. “Then you want to kill him too?” asked Loren. “And I'll need one or two days to prepare runes which we can place over your wards to ensure he won't escape from the tower,” said Rabbi Isaac. Brashani watched the baby again the following day. The infant slept most of the day and woke just before dusk. Cook brought up a few strips of bacon and some wedges of cheese, which the baby devoured greedily. Brashani skipped dinner, sat in Claudia’s rocking chair, and watched the baby play with its blanket. He seemed to enjoy rolling around in it and after half an hour, curled up and went back to sleep. Brashani felt better after eating and enjoyed a pipe of tobacco on the inn’s porch with Nicholas. They blew smoke rings for a little bit before fatigue overtook the mage. However, before he could sleep, Brashani wanted to check in on Loren. He climbed the stairs and paused in the doorway of the baby’s room. Loren had dozed off in the rocking chair and next her on the bed, the baby still slept. Satisfied that all was in order, Brashani went to his room. He was practically asleep before his head hit the pillow. Brashani woke to a loud noise a few hours later. He groaned. Am I ever going to get a decent night's sleep again? Then the odor of smoke and something burning reached him. He got up and went down the hall to look in on Loren. “By the Twelve Powers!” exclaimed Brashani as he saw Loren spread out on the floor lying in a puddle of blood. The baby's wool blanket, charred and mostly burned, was next to her. The baby was nowhere in the room. Rushing to her side, Brashani examined Loren. She had claw marks across her face and a deep gash on the side of her throat. Her pulse was faint and she was close to death judging from the blood on the floor. He heard a noise and turned to see Rabbi Isaac and Varan standing in the doorway. “Yes,” he said stepping into the room and fumbling in his robe for something. “What happened here?” asked Varan. “And the explosion?” asked Rabbi Isaac pulling out a Gimel rune from his robe and placing it on Loren’s head. Brashani and Varan ran down the steps of the inn and saw the remains of the supply store burning. “By the Great Thain's beard,” said Varan. A few minutes later, the fire died filling the air with an acrid smoke. Pausing, Brashani wiped sweat from his face and looked at the remains of the supply store. They could ill-afford the loss of the store. It had many of the basic supplies it took to keep this fledging community going. “Any idea what caused the explosion?” asked Varan. Brashani ran up the road that led out of town. He hoped he was wrong but his intuition told him otherwise. After a few minutes his stopped to catch his breath. He froze as he caught site of something moving up ahead on the road. It was low to the ground and not moving very fast. Brashani gestured and the image in front of him magnified. As I suspected. The baby. Brashani knew what he had to do. Part of them decried the thought but part of them knew it was the only way. I may not have the strength I need. Of course there was only one way to know that and this way his fault. He had loosed it after all. He looked at the night sky and a few clouds drifting by. The twin moons had set and the stars twinkled brightly. Concentrating, Brashani focused the strength. The clouds thickened and then parted as a column of fire seared the road the baby crawled upon.